No two buildings were created the same. If you have the ideal location and the ideal size, you should not have to give up functionality. 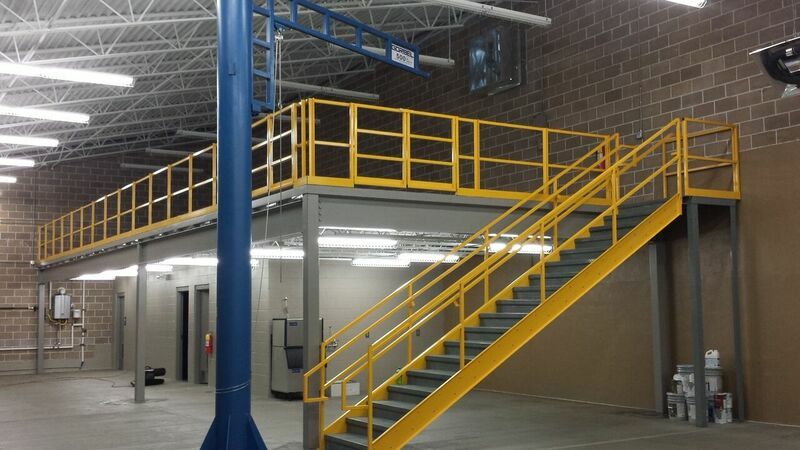 Mezzanines and mezzanine systems help to create a unique environment that cater to your plant’s needs. There is a different system in place for nearly every plant. Thorough customizations allow for the additions of offices, operation space, catwalks and more. Best of all, these spaces take advantage of vertical space that is normally wasted in tall buildings. Get a bird’s eye view of the employees or give executives a quieter space to complete their work. With dozens of options, you will be able to choose a great layout that perfectly suits your business style. Each one of these designs is ideal for multi-purpose space. The sturdy construction allows for easy load-bearing. The space can be adjusted how the plant sees fit and the area will accommodate nearly any requirement. With several different sizes, styles and capacities available, it is easy to see why so many plants and warehouses are adding these space-saving mezzanines. There are several different styles of Panel Built mezzanines that can be created. While some are fairly basic, such as a catwalk, others are very complex modular bolt-together systems that create a one-of-a-kind space. The modular style allows for the ultimate in customizations of materials and layouts. The most common use, however, is to create a multi-purpose space that can be used as your company continues to grow. Most systems will combine a number of different styles to help the get the most of their space. One preferred structure is a set of offices, complete with doors and windows, combined with a high-quality catwalk. The doors and windows are carefully selected for their durability and functionality. The Panel Built mezzanines are all constructed with only the best materials. The structure starts with all structural grade bolts that are precisely placed to reinforce the space. The space itself uses a heavy-duty prefabricated metal for the stairway up. This quality stairway is built to be extra-strong and handle excess weight as you move heavy objects up for storage. Office structures use some of the best materials available for the mezzanine. These materials are not only selected for their durability, but their appealing look and affordability. Abrasion-resistant power-coated steel or aluminum panels are both available for this purpose. Owners can select the material that will give them the look that they want. There is also an option for vinyl-covered gypsum panels. Unlike steel or aluminum, these panels have a no-strip appearance. Their low maintenance is also useful for those who simply do not have time to do the heavy maintenance required of most office spaces. The gypsum panels are also the most aesthetically pleasing of all the panels offered, making them a favorite among the business class. With a combination of gypsum panels and high-quality doors and windows, the offices in the mezzanine will look like miniature houses, rather than dull spaces. No matter how the office spaces and catwalk is constructed, 4-MIL power-coated steel components will be used for the construction of your mezzanine. This material has been selected not only for its durability, but its ability to withstand some corrosive applications. Why Choose Panel Built Mezzanines? Panel Built has years of experience working with plants and offices to help create mezzanines that work for them. This experience has given each team member the ability to create and complete custom mezzanines quickly. 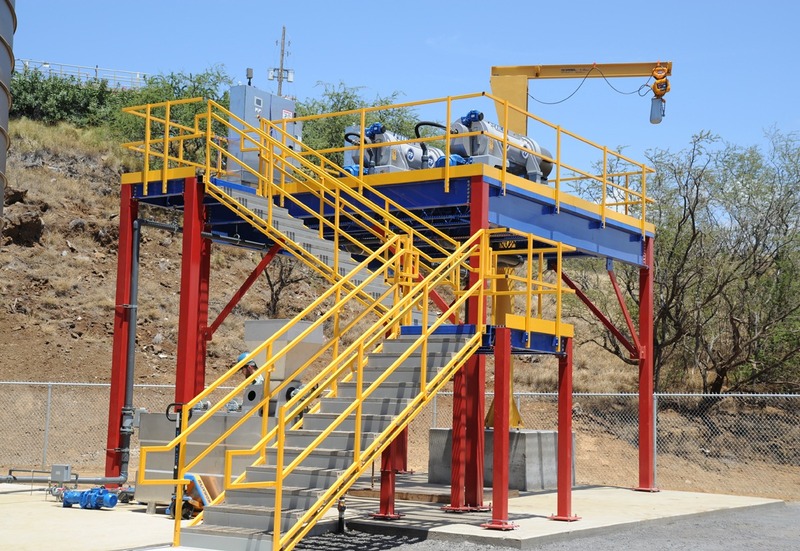 They offer a complete line of mezzanines as well as other pre-assembled and modular structures. This gives them a great eye for design and function. Using their state-of-the-art manufacturing facilities, the company is able to create some of the most functional and affordable building projects. One of the biggest perks of choosing Panel Built Mezzanines is their ability to move with you as your plant continues to grow. Each one of the modular pieces can be relocated or expanded upon as you see fit. Quality still remains a priority even though the portable structures are light-weight. Unlike similar companies, Panel Built stands behind everything that comes out of their factory. An exclusive warranty gives you confidence in their workmanship. A dedicated sales team will even help provide assistance as needed so that you can always understand what is going on with your new mezzanine system. The company believes in a streamlined process that combines customer service with every installation step. To learn more about how Panel Built mezzanines can contribute to your company’s already existing space, click here. With several benefits to Panel Built mezzanines, these custom-built spaces are quickly gaining in popularity.